There may be no more important and at the same time overlooked maintenance that is necessary for your home than the dreaded chore of cleaning the gutters on a regular basis. Semi-annual gutter cleaning is the most common frequency, once in the spring after the trees bud out, and once in late fall after the leaves drop. That’s a lot of trips up and down a ladder, and few of us are that disciplined. Our basic Gutter cleaning service includes cleaning off all debris which may have accumulated up on the roof or valleys of your home, as well as behind chimneys, skylights, etc. We then clean all the debris and clogs out of the inside of your gutters, including the sediment. In the case of Gutter Guards, we will clean on top, and underneath all gutters screens, (the only exception being gutter covers which are fastened to the gutter or roofing) and we then straighten the screens as best as possible. As we are cleaning out the gutters, we check and clear out all the down spouts (in the case of very clogged down spouts, we will remove, clear, and then reinstall the down spout). 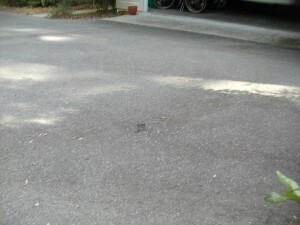 When all that cleaning is done, we will return to the ground and clean up any debris from the roof or gutters. Our goal is to provide a very thorough cleanup, which includes cleaning all areas where the debris may have fallen; bushes, sidewalks and stoops, decks, patios, driveways, porches, yards, etc. In the case of sensitive landscaping, flower beds, etc., the gutters may be cleaned by hand and debris will be collected in a manner in which to keep it out of the sensitive areas. In most cases, we do not bag the debris or take it with us when we leave, we will find an appropriate place (ie: woods, natural areas, etc) in which to put it, although we are happy to collect, bag, and remove the debris upon request. Excess water against the foundation wall can weaken the footing and lead to cracks. Water backing up from clogged gutters will cause moisture damage to the wood fascia and soffits around the house. When gutters have debris piled up above the flashing or shingle line, the debris can hold moisture on the fascia boards. The moisture can also affect the roof sheathing and framing beyond the fascia. 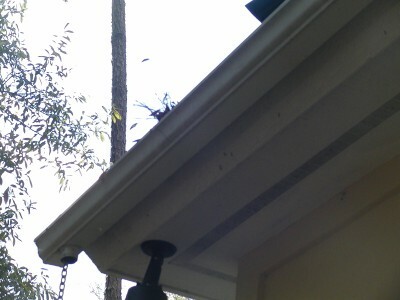 The debris will act like a wick and bring water in the bottom of the gutter up to the fascia. An area that becomes rotted will quickly get worse if the leak is not taken care of by cleaning your gutters. Clogged gutters and downspouts can cause driveways and walks to sag and crack. 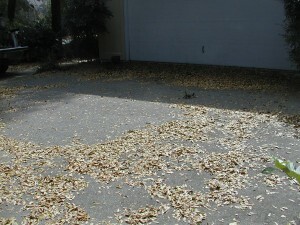 Any newly installed plants or landscape mulching can be washed away due to water overflowing. Bugs love moisture. Keeping the soil dry around the foundations can force bugs to go elsewhere. Many termite protection companies will not provide their warranty unless there are seamless rain gutters in good working condition. When we get to the end of the gutter where the spout is, we spray the hose down it to make sure it’s clear. If the spout is clogged, water will back up and cause problems. Clearing clogged spouts can be a chore. If we find a clogged spout that we can’t clear with water our service technicians have the expertise to take the spout apart, remove the clog, and put it back together properly. Lack of cleaning will also cause water to pond in areas dammed by debris. This condition is ideal for breeding mosquitoes. Plants, birds, insects and even mice will make a home in gutter debris.